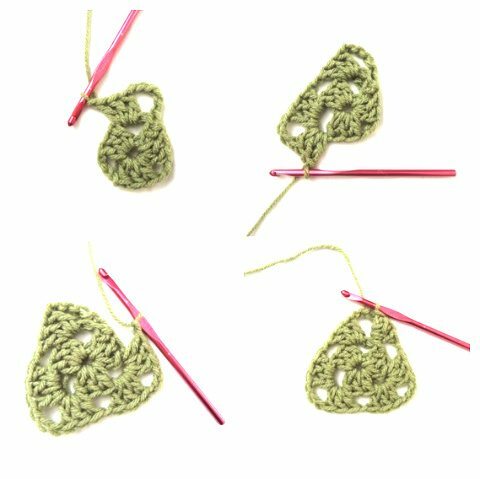 Hi, this is Kathryn from Crochet Concupiscence, here with a new crochet tutorial for you. 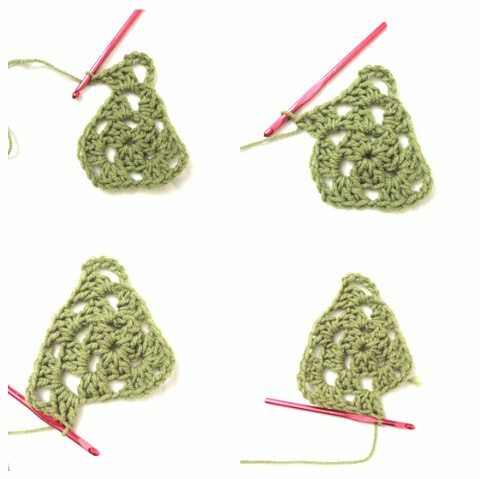 This one will teach you how to take the basic granny square technique and use it to make a granny crochet triangle. 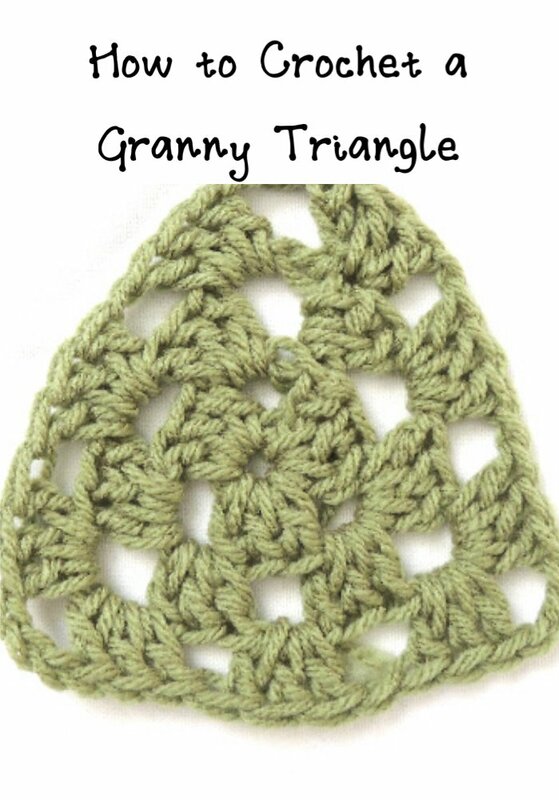 There are several different options for how to crochet a granny triangle. My favorite is to crochet it in the round, like you do with the classic granny square. This allows you to determine the size of the triangle as you go since it grows round by round. 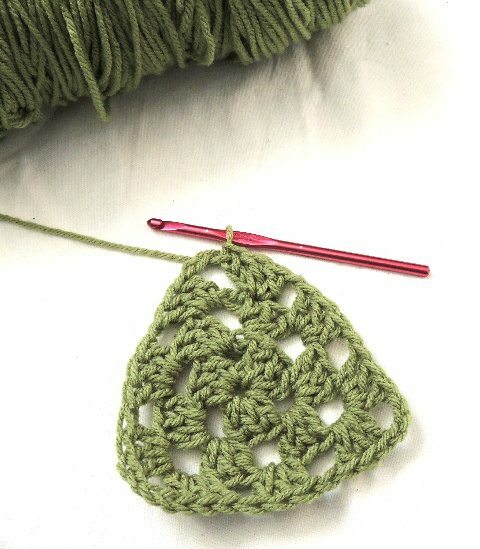 You can use any type of yarn and the corresponding size of crochet hook to make a granny triangle. No other materials are needed. 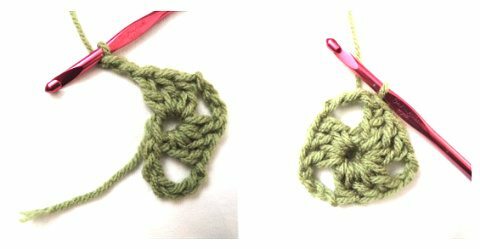 Crochet a foundation chain of four stitches. Close with a slip stitch to make a ring. Chain 6 (counts as first dc and first corner). 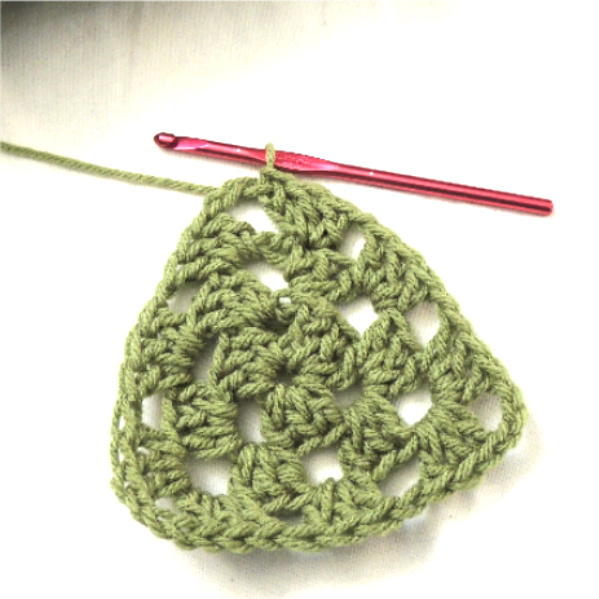 You will be working into the center of the ring (similar to how you would start a classic granny square). Make 3 dc then chain 3. 2 dc. Sl st into the 3rd chain of the chain you made in Step Three. This is the end of the first round of your granny triangle. Note that this is where you would end off and add a new color if you wanted each round of your granny triangle to have a different color. Working in the first ch 3 space (the same area that you’ve just done a chain 6), crochet 3 dc and ch 1. You are now working back into the first corner space. 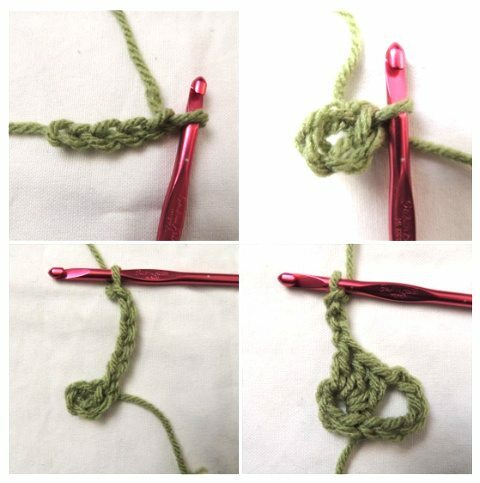 Crochet 2 dc then join with sl st to third chain of the ch 6 created in Step Seven. This finishes the next round of the granny triangle. In next chain space: 3 dc, ch 1. Repeat Step 11. This closes the round of the granny triangle. To keep growing your triangle bigger you will essentially repeat steps 12-19. The triangle grows with each round so you will have more chain spaces on the sides (so step 14 gets repeated more often on each end, just like it does in a granny square). The corners remain the same; they are always two clusters of 3 dc with a ch 3 between them. Kathryn Vercillo is the blogger behind Crochet Concupiscence and the author of the book Crochet Saved My Life. She also has tutorials for how to crochet a granny rectangle and how to crochet a granny circle. Learn more about Kathryn from her designer interview.